Greeting New Year is like hitting the renew button, we renew our determinations and focus on our goals, and say goodbye to our past disturbances and bad experiences, we focus on the up-coming year which is filled with positive vibes and success. And the occasion is just incomplete without a party, right? While some spend the night wandering through the city, while some go on exploring the new destination, some spend the night in clubs and rest spend it in their cozy bed watching a movie or reading their favourite book, but isn’t it too boring? New Year should be celebrated with friends and family, this year host a fabulous party at home and create unforgettable night of fun and memories, craft unforgettable first memories of the year along with your friends and family and have a merry time together. Choosing a theme for your new year’s eve can set the mood for the entire night. 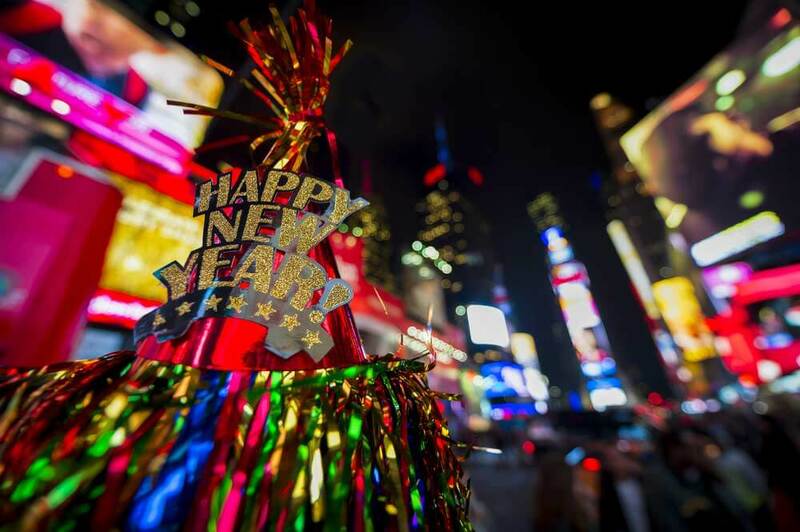 Here are some amazing New Year themes to party with your friends. This is the fun theme for the New Year party. Try black and white party filled with black and white decorations, treat and games. There is only one rule while hosting a black and white party – it needs to be black and white including the dress code. Black and white theme works perfect for the new year eve as it tends to be more adult and sophisticated vibe. Food can be easily arranged on order or here you can be little more creative if you hold a good knowledge of food, decorations can be kept simple and pretty you can find various fun options of white and black décor on internet. Black and white is a theme in which you can be very creative, so goahead and use your creativity to throw a statement party and build best memories of your life. Masquerade ball parties never go out of style and they are quite formal. This theme adds an alluring mystery to the New Year party. If you want you can supply masquerade masks to the guest but make sure that you order plenty of them and they are available at the door so that guests can put on as soon as they enter or they can have their own.Masquerade parties are the best opportunity to wear your favourite heavy gowns and tux. You can be more creative here, while you are sending invitations to your guest you can design them to look like a masks. Make sure that party has a little bit touch of elegance and there should be traditional element in the party, In fact when you design the main course it should have all the traditional dishes this will add more sophisticated factor in the party. Who doesn’t love a flashback party? This New Year throw a decade bash dedicated to the 70s, 80s or 90s. This theme will just add a fun factor to your New Year’s countdown. It gives you so many reasons to be creative as it is a fun costume oriented theme this theme can thrill your guest and keep them waiting for the party date to arrive! This theme will encourage everyone to go creative and reminisce on some of their favourite moments in pop, culture and history. To make this theme more enchanting you can go creative with decorations and choose music that goes with the decade you have decided for the party. For more fun you can set a photo both full of humours props from the golden days. Following same things every time seems to be boring, this New Year highlight traditions from all around the world by hosting “all around the world party” emphasize and celebrate how other cultures ring in the New Year. In Denmark people climb on the chair and jump to bring good luck. In Estonia it is all about eating the New Year’s traditional food, people eat seven times on New Year’s Dayto bring abundance in the coming year. In Spain if person manages to stuff twelve grapes at midnight he will be blessed with good luck. Bring all the famous celebrities to your home with a glamorous Bollywood or Hollywood themed New Year’s party. Now this theme is super-duper fun you can host a red carpet and your friends will love the theme as they have to be more creative with their costumes and they all will dress their best. This theme will require a lot of fancy décor like black, white, red, pink, golden, silver. You have to choose music accordingly to set the mood for the guest. Bring home crazy clubs on New Year’s Eve without the expenses and dress code. Turn your house upside down in the wild black night party. Welcome your guest with the light coloured or white clothes and serve neutral coloured food like hummus, cheese dip and boozy milkshake that will take an eerie glow under the lightings. To make your bash a blast, turn up the fun with lightings, glow bracelets and ping pong balls. Everyone loves a little bit of nostalgia at New Year’s Eve, sit under the last night sky with your close friends and share each other’s precious memories while drinking beer, for food you can choose barbequed food and decorations can be kept simple by adding few lights to the venue, you can arrange camps if you have more space and decorate them accordingly, this theme can be so much fun. While leaving behind the year which was like Roller Coaster ride and welcoming the year of good fortune host a Chinese New Year themed party, Chinese New Year is a celebration of fresh starts and hope. So go on and host a grand feast, colour your door scarlet red, burst some fire crackers and light your home with glowing paper lanterns they can be used as décor. To feel those Chinese New Year vibes you can ask your attendees to wear traditional Chinese clothes and you can arrange your house likewise, you can also conduct Chinese ceremonial tea ceremony to welcome your guest and cook some Chinese inspired appetizers and main course. Let your inner Beyoncé shine through!! Rent a karaoke machine for the party night and let your guest know beforehand that singing is going to happen that night, so that they can prepare their favourite song for the night. Encourage your guest to dress like their favourite singers; this will set the mood for the party. A fun touch is to give away awards to the guests who were brave enough to nail down their performance. Make your awards unique and innovative like “Best Dance Moves”, “Most Likely To Discover”, for décor you can go for disco set up which will give your attendees those singing vibes and will ring them into the New Year Eve’s party. This is the great example of how you can go down your memory lane and enjoy those games from your childhood you used to play. Keep your decorations simple and casual, bring everyone’s favourite games and stock on all the snacks which are loved by your friends and prepare everything beforehand so that you can also play and enjoy games with your guests. If you have spacious indoors and outdoors you can play all those games which include running around. Ask your guest to wear casual and comfortable attire. If you want to throw a formal event, take your game night theme up a notch with a fancy casino party. You can host an entreating casino night for your guest with plenty of casino games, you don’t need to worry about how to keep your guest entertained with the casino theme you can set up areas for common casino games such as poker, blackjack, craps, roulette or bingo. If you are good with DIY’s, you can also create your own big six wheel. You can never go wrong with glamorous sparkles for your New Year’s Eve party theme. Send glitter invitations to your friends, you can decorate champagne and wine glasses with glitters you can also go creative with décor and use all those glittery and flashy things you can also go for tableware inspired by glitter. In addition ask your guests to dress their gaudy and glittery costumes for the party, ask your girlfriends to do those glitter inspired makeup looks. Use those edible glitters to decorate your appetizers and main course it depends upon your creativity. You can never go wrong while hosting a cocktail party, so turn your old and classic New Year’s Eve love for sparkling wine into a champagne-inspired party. You can use the décor which is in champagne colour and create a bar with different types of champagne cocktails. To add a fun activity you can ask your friends to decorate their own champagne glasses and provide them with the material to decorate the glasses. End this year by getting on to your New Year resolution that is to be more eco-friendly, host a party which is eco-friendly, use decorations and tableware which is eco-friendly, reuse your waste and turn them down into best decoration pieces though they are time consuming but trust us when you will see the end results you will have that feeling of satisfaction that you contributed something good for mother nature on this auspicious day. If you have your own kitchen garden use those vegetables or fruits in the meal you will prepare for your guest, trust me on this food you will cook from those vegetables will be delicious. Plan a quiz or bingo game to entertain your guests about going green and how to save Mother Nature or how to reduce global warming award winner with exciting gift hampers like a basket full of vegetables or fruits. For dress code you can chose fancy costumes or to add a fun element to your New Year’s Eve party you can ask your guests to dress like vegetables or fruits or animals and keep a fancy dress competition and award them with titles like “Best Dressed” or “Miss Strawberry” or “Mr Mango” it’s completely your call on how to award your attendees. This party can be a great statement and fun party depending upon your creativity. Want to throw a midnight brunch but not finding the perfect time to throw one, you can host a midnight brunch at your place on this New Year’s Eve because this is the only time where it is acceptable beside Christmas to throw a midnight brunch. Invite your friends and family over a midnight meal completed by your favourite breakfast and lunch. Create your own bar with champagne, fresh squeezed juices. When it comes to décor keep everything very subtle and blushy. This is a fun and another way that includes lot of good food and laughter. Want to celebrate New Year in Paris but expensive flights and hotel rents panic you and it’s completely out of budget for you. Don’t worry we have a solution celebrate your New Year’s Evewith Parisian inspired party theme marked by delicious French cuisine, Eiffel tower decorations and lots of white and pink colour flowers and floral scent everywhere with your friends at your home without spending a lot of money!! You can play a silent violin tone in the background to set the mood for the attendees for dress code you can opt for their traditional gowns and light blushy make up. This is an intimate theme so if you are planning to do a couples party this can be your perfect theme. New Year parties are the memorable on as long as you are true to your theme and find theme which perfectly fits your vision. If it fits your vision your planning process will no longer looks like a burden to you, you will enjoy doing it. Create as many New Year memories you can create with your loved ones as they are most cherished.